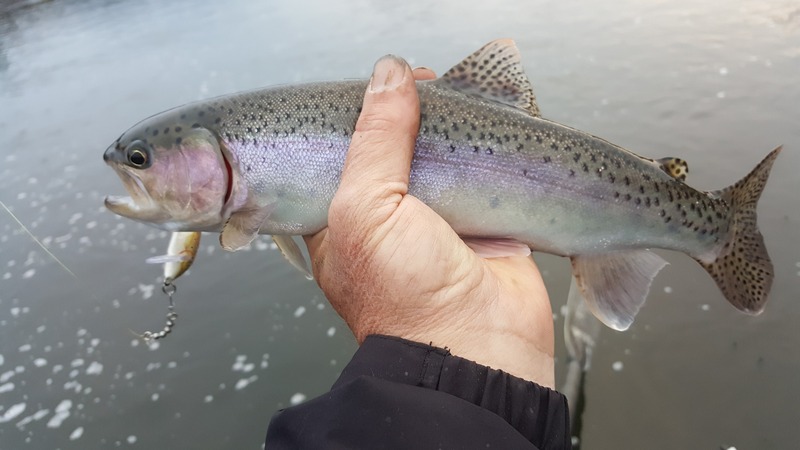 This is how you start frigid morning off! 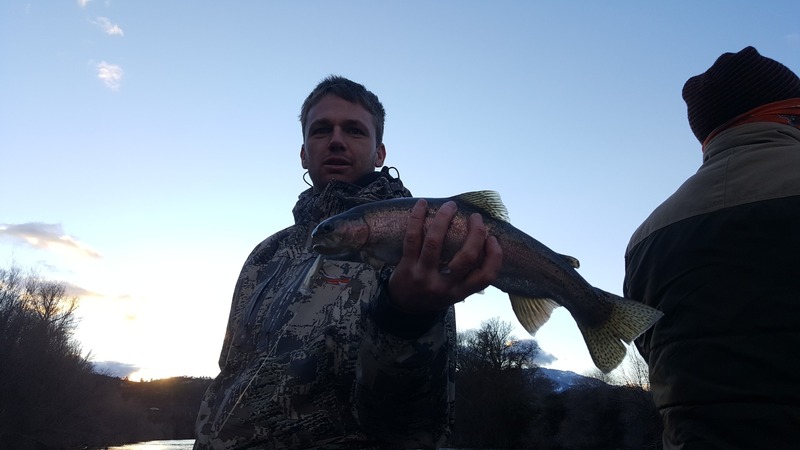 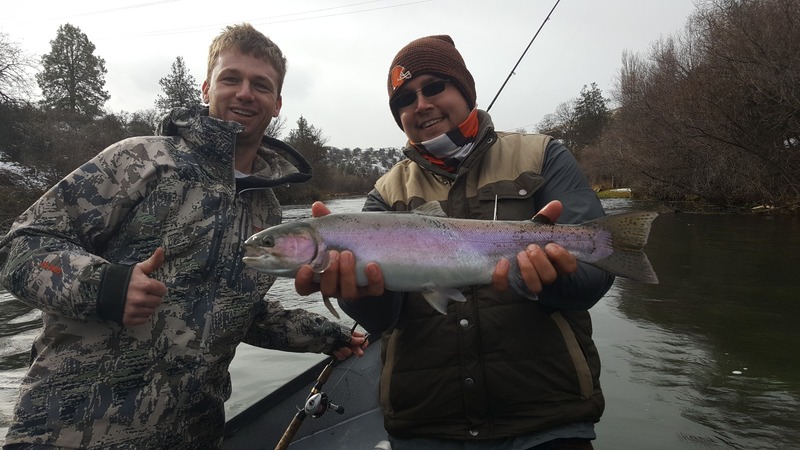 December on the Klamath river is what Winter Steelhead fishing is all about. 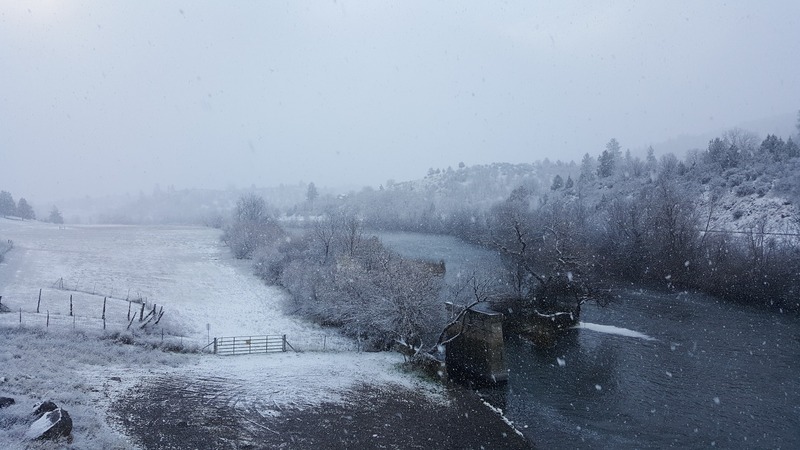 Frigid temperatures rain and snow are the kinds of weather a person typically saddles up next to the fire with a good book or movie. 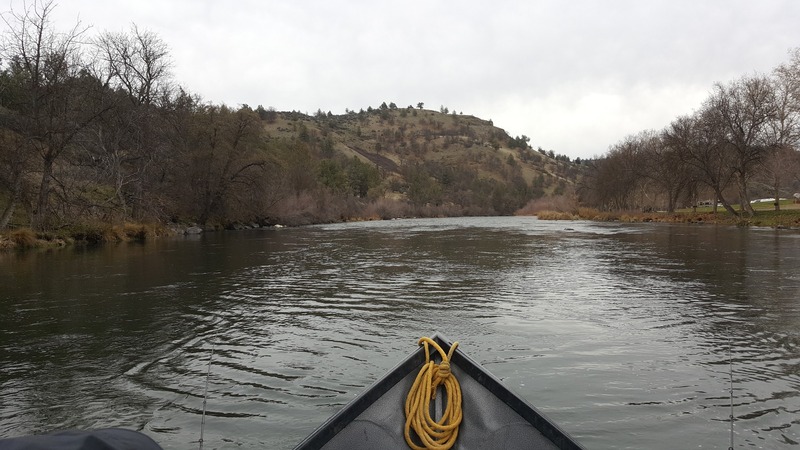 For the fisherman, it means the beginning of frozen fingers, multiple layers clothing , thermos's hot loaded coffee, and the constant rush of adrenaline as the search for the wiley Winter Steelhead has begun. 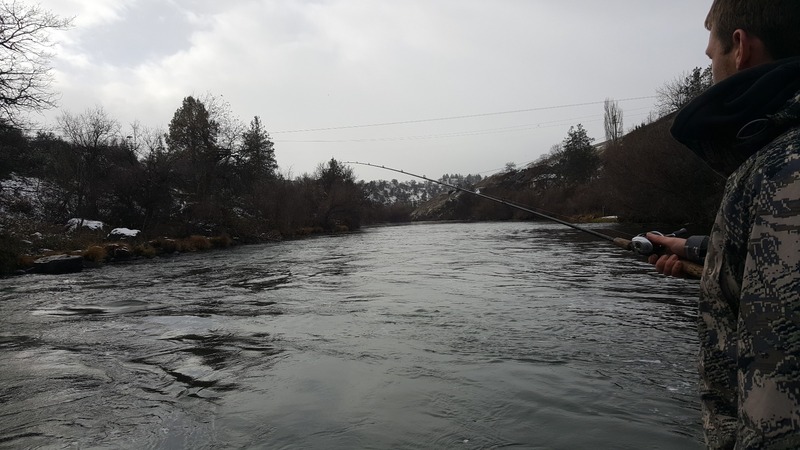 That rush of adrenaline is what keeps the Steelhead fisherman warm in his/her quest for the hogs of Winter. 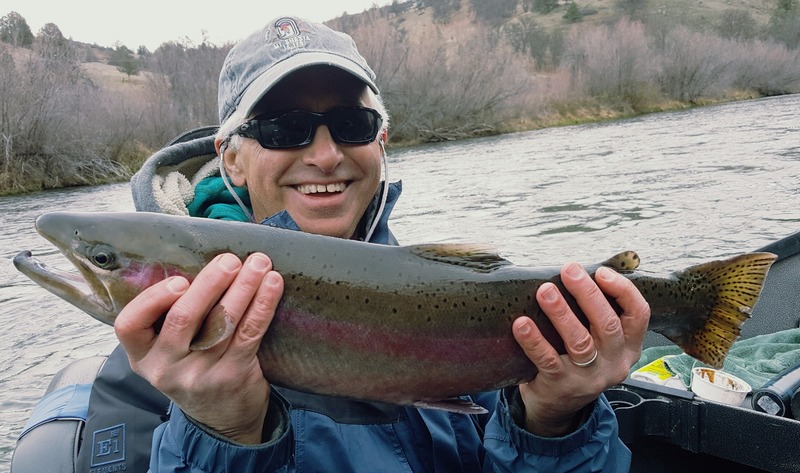 On most rivers including the Klamath, Winter means the biggest baddest hard fighting Steelhead the river has to offer. 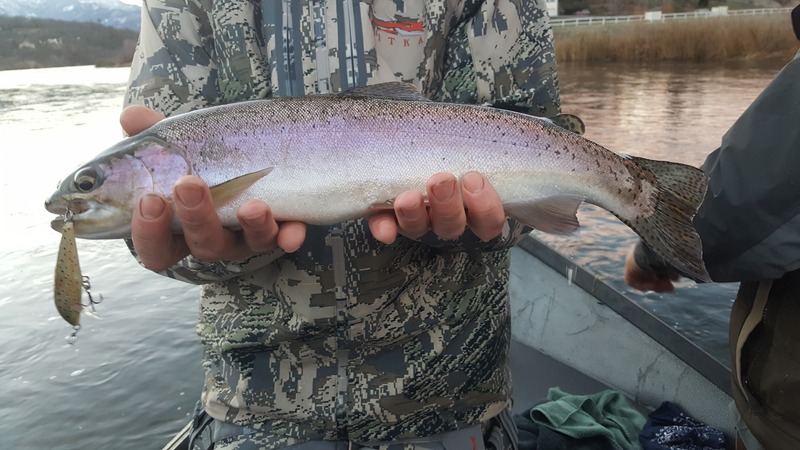 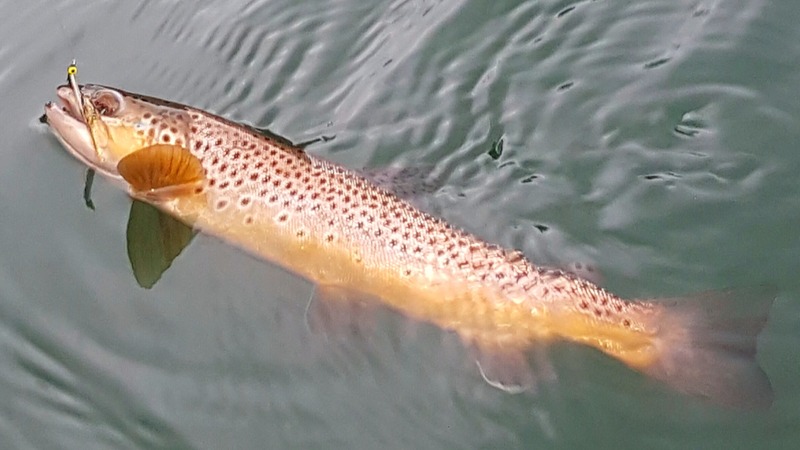 These hard fighting anadromous brutes jump and rip drag like no other fresh water ocean going fish , no matter the size they put on battle , this is what causes that blood warming rush, and thus the frigid ugly weather is forgotton. 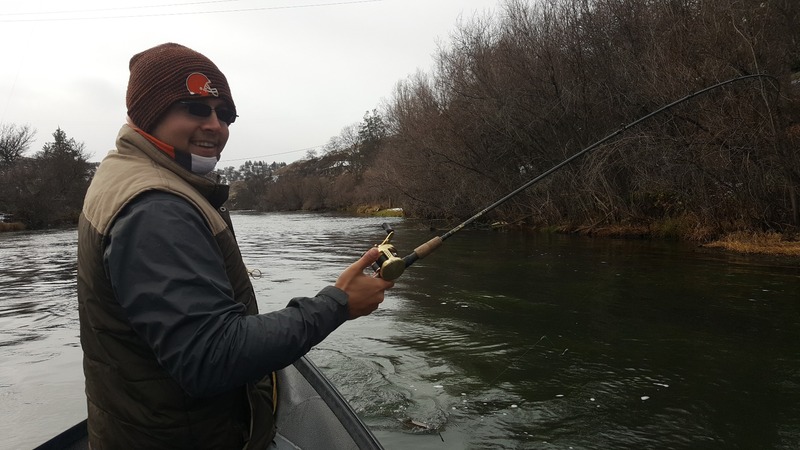 This past week on the Klamath River my clients fished through that ugly weather with temperatures in low 20"s and some snow mixed in. 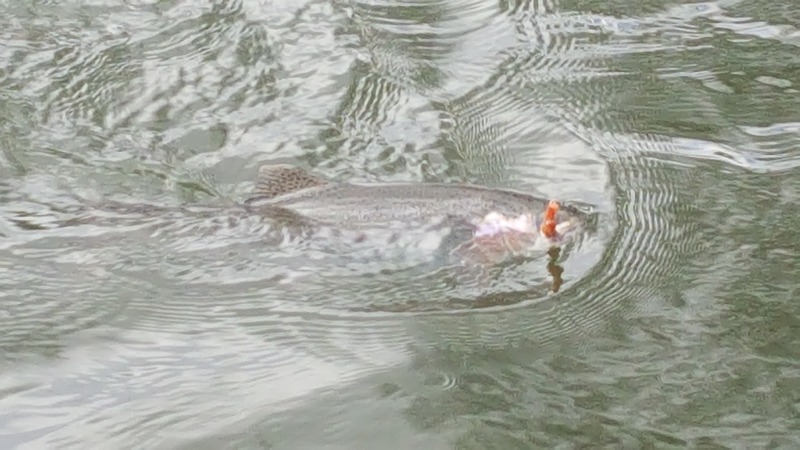 Our efforts were rewarded with dozens of hard fighting Steelhead and Trout in the 1 to 8 pound class. 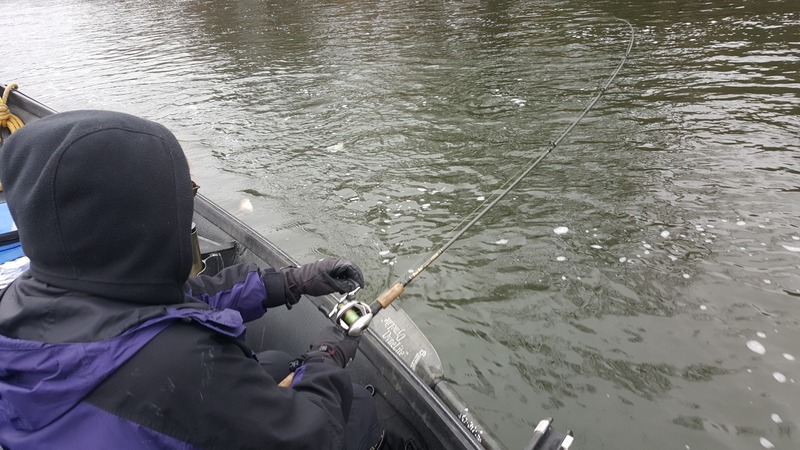 That steady action kept the adrenaline flowing through our veins and the frigid weather was forgotten as the thought of the next 8 pound drag ripping brute kept us focused. 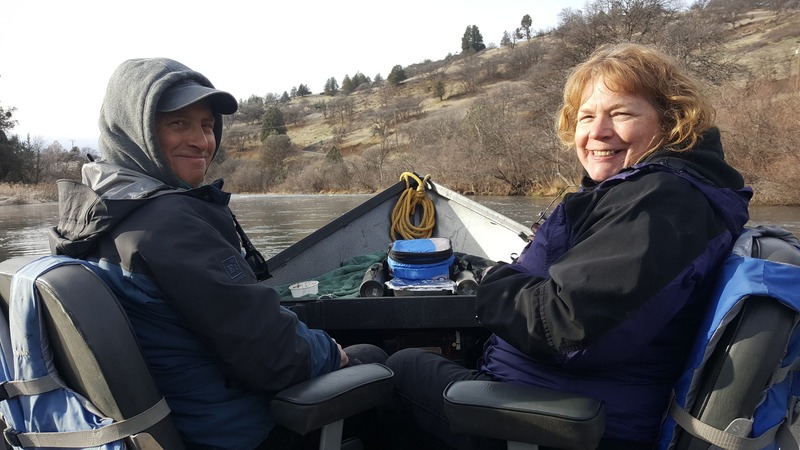 Of course, the coffee, breakfast roles and soup kept hot by the blazing propane heater helped too. 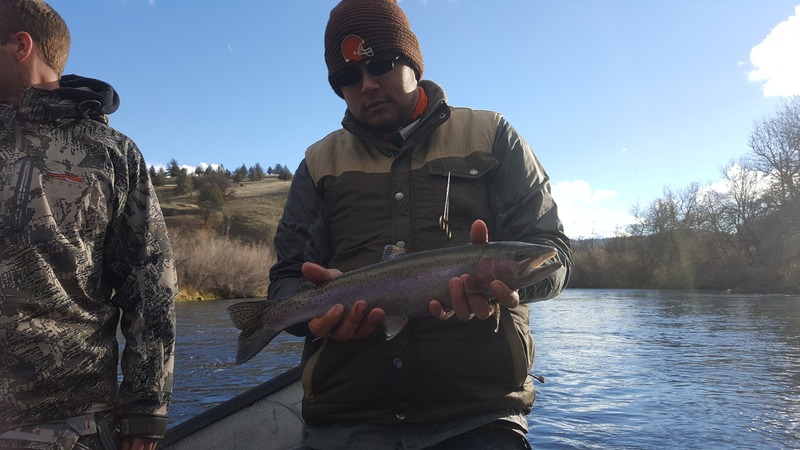 Don't let the cold weather scare ya off the Winter Steelhead adrenaline rush is out there just a few short casts away.